Focus More on Purpose according to Will Smith - Brilliant Breakthroughs, Inc.
” I view myself as slightly above average in talent. Our “Focus more on purpose” topic is inspired by Will Smith. 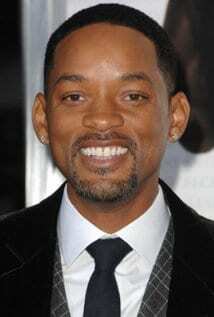 As I write this, the day before it’s posted, it’s Will Smith’s birthday. Happy Birthday Will! I’ve followed Will since earlier in his career and have a great respect for him! Why? During an interview at least 10 years ago he was discussing how committed he is to his greater purpose and how he doesn’t know what it is. Yet, he takes time every day to re-align his whole world to focus more on his purpose and said this is what makes him a great talent. Will has always been this committed and deep. One of his quotes regarding commitment, “Whatever your dream is, every extra penny needs to be going to that.” He didn’t get wise and beginning waxing eloquently after his great success. He’s always talked about how we should all “focus more on purpose” of what we are yet to become. Business Leaders need to focus much more on the purpose of their business and the roles each person plays. I always tell leaders to do this at least once a year. Keeping everyone focused and moving in the same and proper direction shouldn’t be an activity you do after everything else is complete. If you make it a focused priority everyone’s performance and focus will improve. “The first step is you have to say that you can.”. I’d like to do a special shout out to Meg McNally, the founder of Bowheart Business Strategies. or do research for YOUR Business Plan, call Meg! Thank you Maggie for the wonderful shout-out! I really appreciate it! 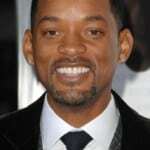 And I’m honored to be “shouted” to on Will Smith’s blog, who, as you know, I admire as well. He is a very talented actor and his work ethic as you’ve pointed out above, certainly defines his success.